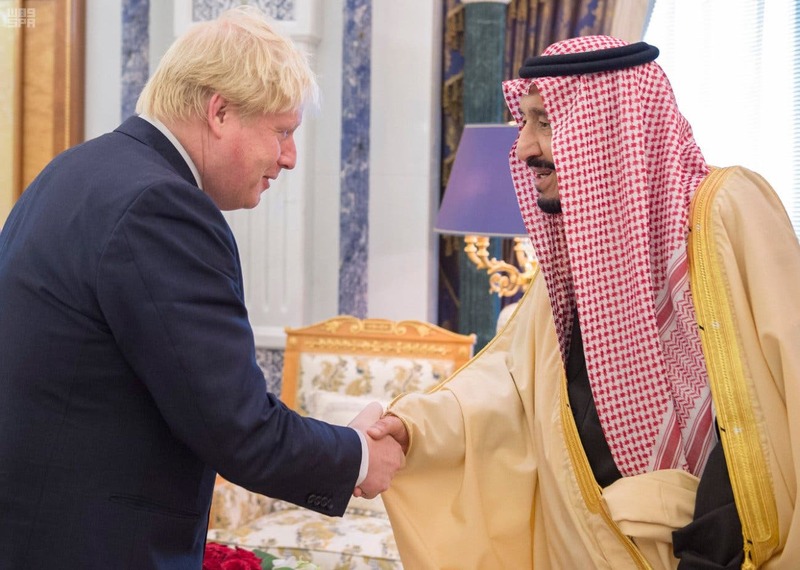 British Foreign Secretary Boris Johnson has reiterated Britain’s close ties to Saudi Arabia during a visit with Saudi King Salman and said “candor was also important”, days after making comments widely seen as critical of the Gulf Arab kingdom. He said in a joint news conference with his Saudi counterpart Adel al-Jubeir that he had deep concern for Yemeni suffering but recognized Riyadh “faced a grave threat from that country’s conflict”, in which the kingdom is leading a coalition of Arab forces against an Iranian-allied Yemeni group. 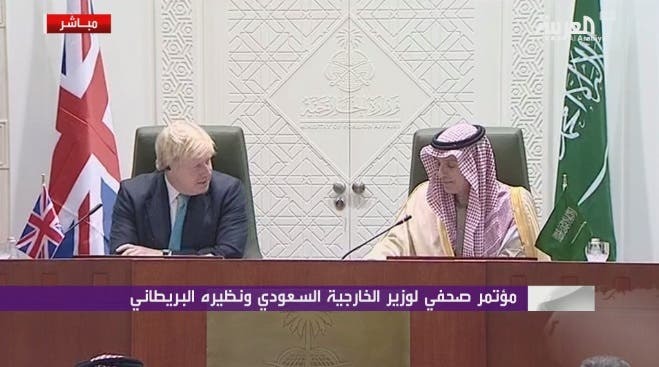 “I’m here to emphasize the friendship that exists between the UK and Saudi Arabia, and that is something that is developing and expanding,” Johnson said. For his part, Britain’s Secretary of State for Defense Michael Fallon emphasized support for Saudi Arabia, which since March 2015 has led a coalition launching operations in support of the Yemeni government of Abd Rabbu Mansour Hadi against Houthi militias, who are backed by troops loyal to ousted former president Ali Abdullah Saleh. “Saudi Arabia is perfectly entitled to defend itself and it is also leading the coalition to restore the legitimate government of Yemen,” Fallon said.